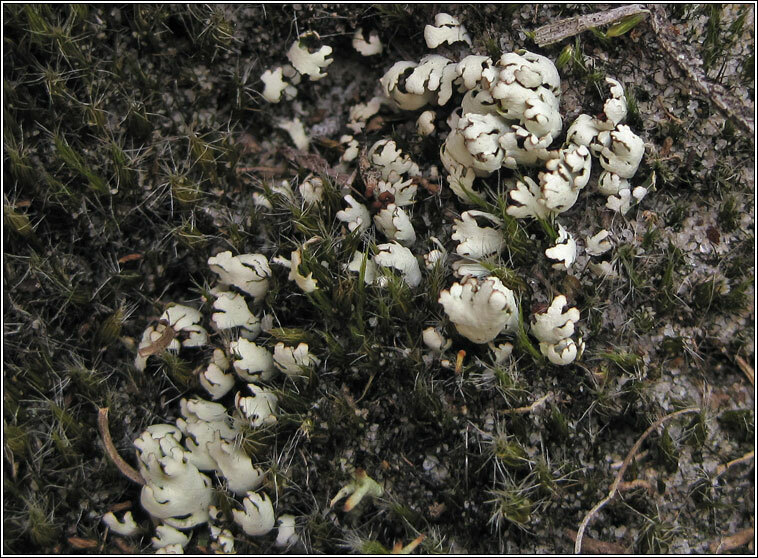 Usually found in coastal areas on dry calcareous soil and among short grassland. 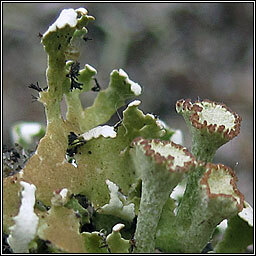 Large, deeply incised yellow-green squamules, rarely with black cilia on the margins. 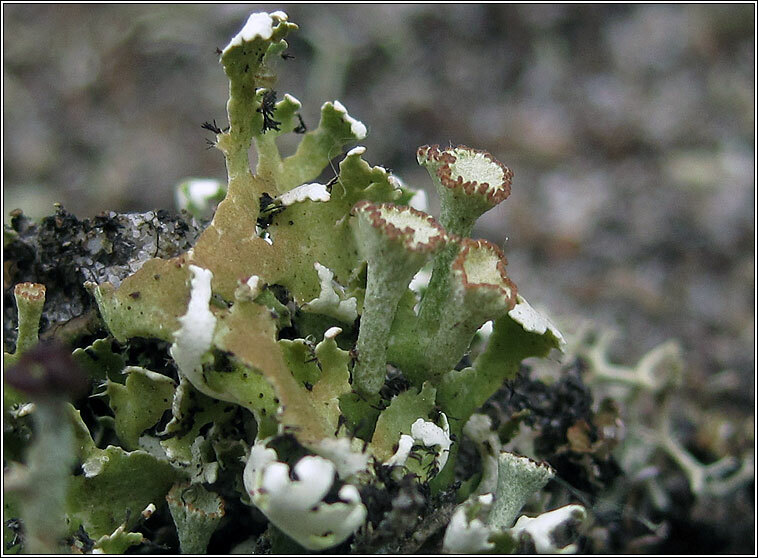 The undersides of the lobes are whitish-yellow and small podetia are occasionally produced with smooth, irregular cups.